I'm a sucker for gospel albums. While I haven't been a church-goer in decades, I nonetheless understand the heart and soul that goes into these records. That, and the fact that they're the most overlooked, and plentiful pieces of vinyl at most thrift stores will make the genre one I probably post more than occasionally on here. The local gospel LPs I usually find are fairly generic, with Osmond-looking families, posed in matching clothes, and a matriarch in a gravity-defying beehive. As I almost always bring my portable turntable when I hunt for vinyl, it becomes apparent rather quickly that most of these albums will have sanitized songs, and really nothing worthy to write about. 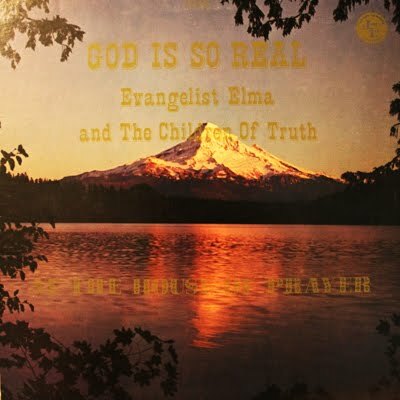 Elma Howze began her preaching career in 1950. 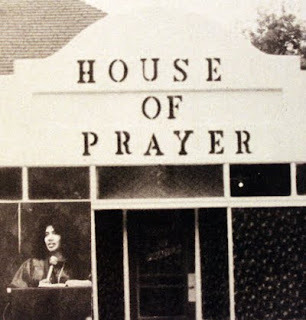 The first House of Prayer started in her living room in Colorado Springs, in 1974. It soon moved to 203 E. Bijou (the current location of the YMCA, and across the street from the First Presbyterian Church), and later located to 324 N. Wahsatch. God Is So Real was pressed on the prolific Colorado Springs-based John Law Enterprises record label (4105N10--no year), which was known for releasing numerous local Christian recordings throughout the 1970s. Since the songs were recorded at the church, the production is pretty dismal, and obviously best experienced live. Michael Harp is the stand out performer, as the lead tenor in the Children of Truth. 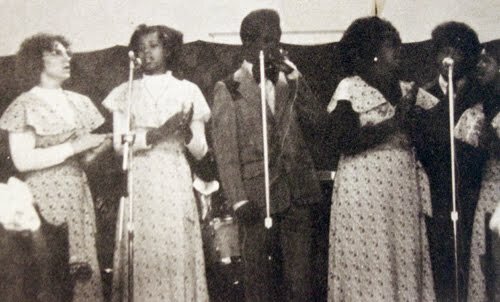 He's backed by Denise Waldon, lead soprano; Eddie Philon, barritone; Deborah Vaughn, 1st alto; Metta Huff, 2nd alto, and Demitta Clausell, 2nd soprano. Musicians include Fred Huff, drummer (and album producer); Beverly Harp, piano; David Vaughn, lead guitar, and Paul Jackson, bass. 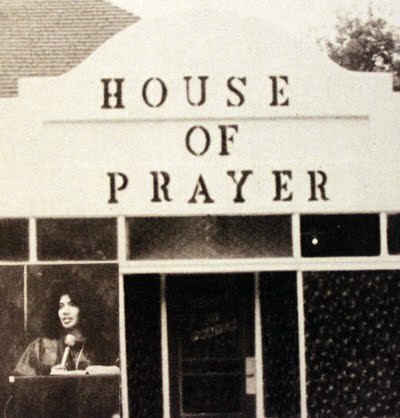 Elma Howze left Colorado Springs in 2001 to form the House of Prayer in Mcintosh, Alabama.